We love this color and now it is a must for my pies. 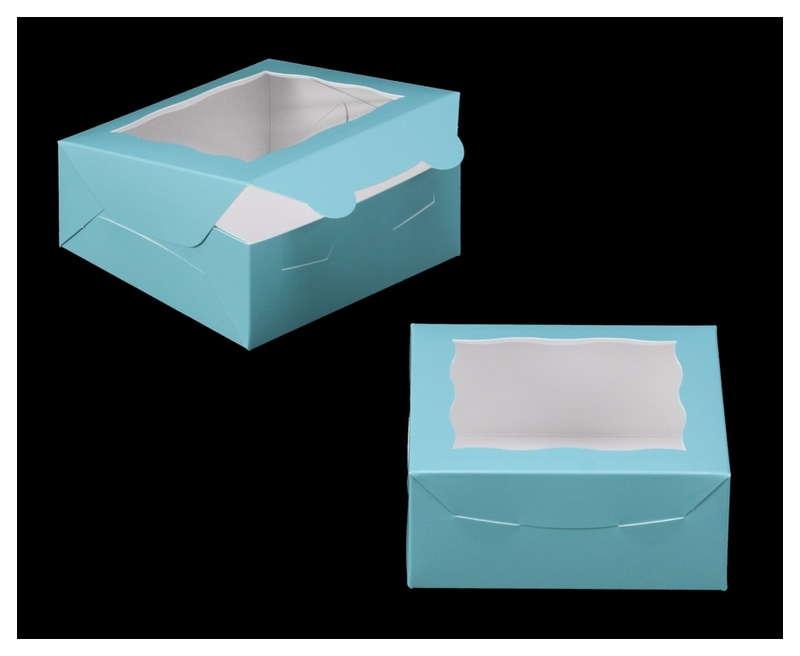 This item does the job whether I put items for gift giving or for sale, the box provides classy presentation of my final product. I got compliments on the box alone. Beautiful, well constructed of substantial materials, I am very pleased to be using these boxes with favors at my daughter's wedding. 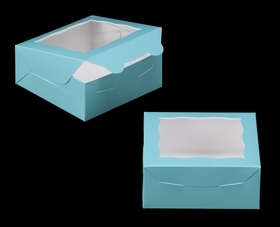 I own a small online bakery and use these boxes all the time. They're easy to assemble, beautiful and work great with the divider. My customers love them, both the colors and the design. I love this box! Perfect for mini cupcakes or 4 inch cakes. My new signature box color! So happy this color is offered! how many regular cookies can I store in this box? Hi Annie, It would depend on the size of your cookies and how you want them packaged/displayed. You could cut a piece of paper that is 6" x 6" and lay out your cookies to see how many fit in that area, or you could order some samples and try them out to see which box works best for you. You can find the 'Get Samples' link on the left side of our webpage :) I hope this helps. Let me know if you have more questions. © Copyright 2017 BRPBoxShop.com. All Rights Reserved.